At their best, Americans are forgiving, capable of allowing the passage of time and recalibration of beliefs to let bygones be bygones. You frequently see examples of this in families, even within the criminal justice system. Eventually, most people are able to put things in the past, let it go, move on. It’s called empathy. 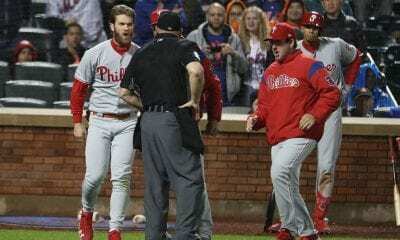 But when it comes to the voters for the Baseball Hall of Fame, grudges seem to be hard to shake. 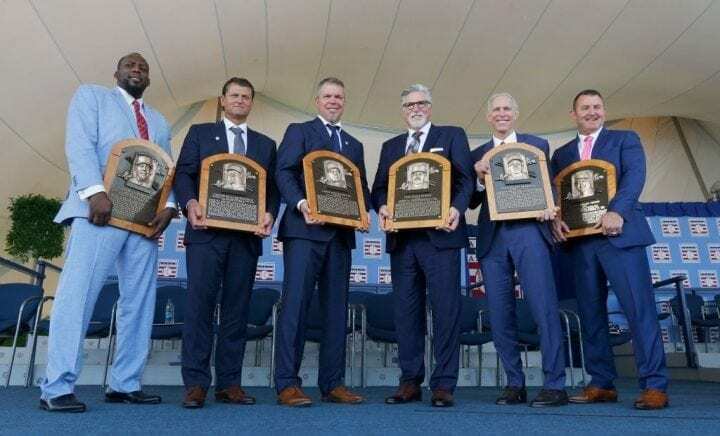 That was evident again Sunday when the six new inductees of sport’s most prestigious museum were introduced in Cooperstown, N.Y.
Once again, Barry Bonds and Roger Clemens were not among them. And now after six years on the ballot, you begin to wonder whether they ever will. To be elected to the Hall, a player needs to included on 75 percent of the submitted ballots. Those nominated to appear on the ballot now have 10 years to make the grade before they fall off. Those who fall short of receiving the minimum five percent of votes during any year of their eligibility are immediately eliminated. Since Clemens and Bonds first appeared on the ballot in 2013, debate has swirled about whether the specter of their use of illegal performance enhancing drugs (PEDs) would impact their candidacy. And now, there is no question about it. It has. Generally considered two of the greatest players of their generation, Bonds, a seven-time MVP, and Clemens, a seven-time Cy Young winner, have slowly worked themselves up the voting ranks. In their first year, Bonds received 36.2 percent and Clemens got 37.6 percent. In the 2018 election, Clemens was named on 57.3 percent of the ballots. But that was still 75 short of the 317 required for him to hit 75 percent. Bonds received 238 votes (56.4 percent). While these figures represented personal-bests, the Hall of Fame reported that they were only nine percent better than 2017. They both fall off the ballot in 2022 if things don’t change. For things to change, obviously the mindset of the majority of voters first must. Many of the veteran voters seem dead set against Bonds and Clemens, essentially saying their staggering statistics were artificially inflated by drugs, rendering them inconsequential. 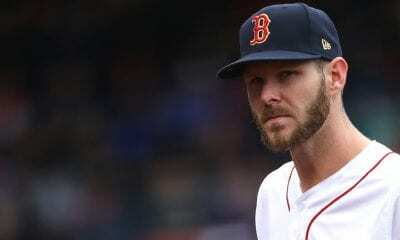 Perhaps at some point, attrition will result in a younger, more progressive mentality among voters who chose not to make the connection between PED usage and performance. Still, that neither Bonds are Clemens has ever publicly appeared contrite or apologetic likely also is working against them. A cache of overwhelming evidence has been compiled by federal investigators pointing to their complicity in skirting the rules. 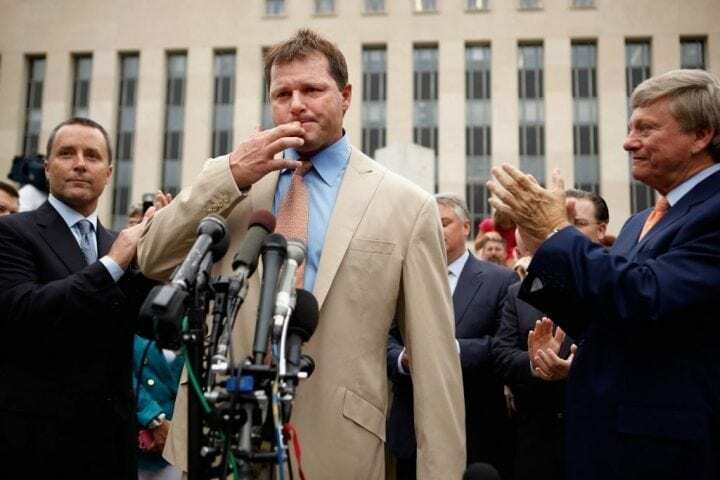 In 2010, Clemens, after the release of the Mitchell Report in 2007 that first implicated him, he was indicted by a federal grand jury for lying to Congress two years earlier about using PEDs. He was charged with three counts of making false statements, two counts of perjury and one count of obstruction of Congress after testimony to the House Committee on Oversight and Government Reform. After a mistrial in 2011, he was acquitted the following year. In 2011, Bonds was convicted of one felony count of obstruction of justice for offering vague answers in grand jury testimony. He was then sentenced to 30 days of house arrest, two years of probation and 250 hours of community service, That charge was upheld by an appellate panel in 2013, but another appellate court overturned it in 2015. The government says they used, Bonds and Clemens say show me the evidence. And so it goes. Let’s take a peek at next year’s ballot to see what kind of competition Bonds and Clemens will face. Edgar Martinez (70.4 percent) and Mike Mussina (63.5) were the highest recipients of votes not admitted to the Hall in 2018. Clemens and Bonds were right behind them. They will be joined next year for the first time by Mariano Rivera, a certain first-ballot selection. But after Rivera, there really are no compelling candidates, unless you think Roy Halladay, Todd Helton or Andy Pettitte are deserving. 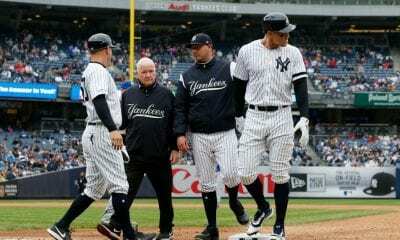 And then in 2020, Derek Jeter makes his entrance, along with Jason Giambi, Cliff Lee and Bobby Abreu. Again, who goes in other than Jeter? So it would appear that the next two years will be critical for both Bonds and Clemens. If they aren’t voted in by 2020, one has to wonder of it will ever happen. Listen, the Hall of Fame is already occupied by a number of miscreants, and that doesn’t even take Pete Rose into consideration. Ty Cobb and Cap Anson were vile, racist bigots. Tris Speaker was implicated in a gambling scheme. Orlando Cepeda was arrested in 1976 for smuggling marijuana. And that doesn’t include those who have, according to legend, abused alcohol and amphetamines and were still admitted. But what distinguishes them from Clemens and Bonds, even Rose, who was banned for betting on games, is their misdeeds at the time were not deemed responsible for directly impacting statistics in a dramatic way. Science tells us that’s not the case with Clemens and Bonds, both clearly enhanced, their careers extended, by PEDs. At least, that’s the assumption voters must be making even though neither failed a drug test and the sport seemed like it didn’t care during the time it was going on. And then there is this: You may recall the letter Hall of Fame second baseman Joe Morgan set out in 2017 imploring voters to ignore Bonds and Clemens. 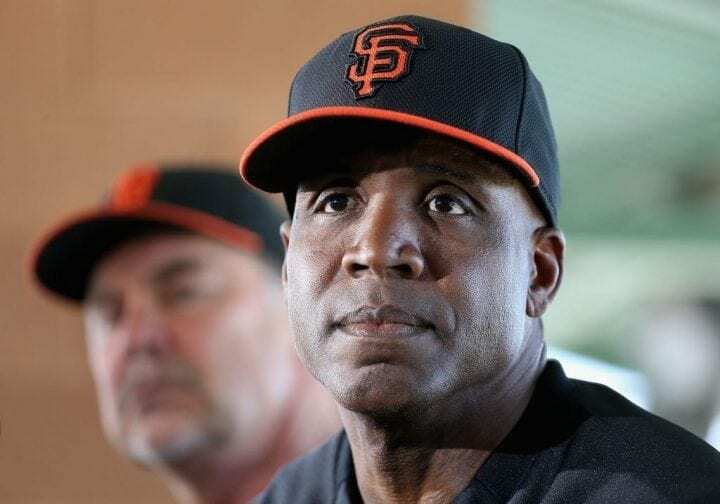 It is clear that Bonds and Clemens, perceived to have cheated that game that made them rich and famous, will likely never be admitted to the Hall of Fame. And for that you can blame the power of personal perception prohibiting voters to either forgive and forget.